Observation - Grey Heron feeding on lower shore - UK and Ireland. Description: Heron fishing near the low water mark. Plumes and mane feathers just visible in some photographs. 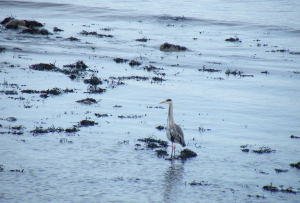 Heron fishing near the low water mark. Plumes and "mane" feathers just visible in some photographs.